Tech schools or Community Colleges? I have a question, and it may be offensive to some, but I most definately don't mean it that way. Would a person taking the MA program through an actual community college have a better chance of getting a job than someone who took the program through a tech school, like Everest? I ask this because I am currently in the program at my local CC, and my boyfriend's aunt is taking the program through a local tech school. I've also had to take Psychology, English, Math, First Aid, a basic Computer class, and A&P all prior to entering the actual program (which is a year long itself). My boyfriend's aunt's program is only 9 months long, with no pre-reqs at all. Technically, (and don't get offended), I am considered to be more "educated" since I had to take all of those extra classes (I'm not saying I'm smarter than anyone!). Do employers take this into consideration at all or does it really not matter? Again, I don't mean to offend anyone, nor am I saying I'm better than anyone, so please don't take it that way. (On a side note, even with my extra time spent at school, I am STILL paying less for tuition than she is. Kind of crappy, if you ask me). Re: Tech schools or Community Colleges? actually you made a very good point, which I will simply reiterate: more classes, i.e. more time in school doesn't necessarily mean a person is smarter. I believe you both have an equal chance of getting hired. 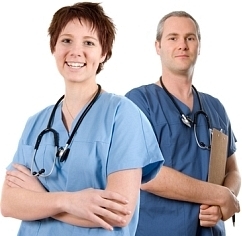 It's a 50/50 chance, that one of you will match exactly what an employer is looking for in a medical assistant. I believe the true difference comes in when the employer asks: "Are you certified? ", sometimes followed by: "Can you draw blood?". And not so much: "Which classes did you take?". Why are some medical assisting courses so much shorter than others? How can someone going only for nine months have as much knowledge as someone going for two years (my school has a two year course)? Am I wasting my time going to school for twice the amount of time? Why is there such a discreptency between community colleges? If an employer is only going to look at what skills you have (I thought all medical assisting classes had the same curriculum), why does it matter where you go, shouldn't everyone have the same skills? I am totally confused!! Your question is not offensive at all but one to be discussed. I have to wonder if many office managers and HR people have a list of area tech schools that they are wary of,and therefore are reluctant to hire anyone from them. When I went for my externship interview,as soon as I sat down the office manager was criticizing the school I was attending,telling me of all the bad students she had allowed to come there and how she really didn't want anymore students from there to come in to do their externship at this office. I was ashamed and felt like everyone on that staff was looking down on me because I came from "that school". Since then I have wondered if these managers don't discuss these schools whenever they get together for their regional meetings. I will be honest...I think those schools are the reasons so many MAs can't find a job. I went to Everest to check out their Dental Assistant program. I felt like I was being sold a dream instead of an education. $10,000 for 9 months! That is RIDICULOUS! I said "No, thank you." After I said "No" the "advisor" kept trying to talk me into it, and tried justifying as to why it is so expensive. I wasn't buying it....Thank God I didn't go there. These schools need to be investigated and probably shut down. So many students are being taken advantage of horribly. Actually, the school I go to, Henry Ford Community College, is the cheapest (and one of the top Community Colleges in the country) school in the metro-Detroit area. While all the other colleges around here raised in tuition price, HFCC did not. ALL of our credits are also guaranteed to transfer to ANY college, ANYWHERE (within 5 years of completing the course), or our money for that class will be refunded in full. The school is completely accredited, and no matter what career field you go into, if there is a state board test you take to be certified or registered, the school has the accreditions for you to be able to take said tests. As a full time, Dearborn resident student (12 credits), my tuition per semester is about $900, plus about $300 for books. You might as well just go to school to be a LPN or they offer the 2yr associates degree for RN. Sounds like it will almost be the same amount of time. I went to a Tech school for 2 years so I could get the associates degree thinking that I would have better job opportunities and more $$. I was wrong. I just got in a whole lot of debt due to student loans and an entry level position that I ended up getting through a temp. service. The school didnt even help me find a job. Now 6 yrs, marriage, and 3 kids later, I really wish I would have just went to school for nursing and got it out of the way before I got a family. Now I am going back to a "real" school, taking night classes and online classes. Oh by the way my credits were useless, no community college or university accepted them. So please think about the time your willing to invest, you can be an LPN in a yr and a RN in 2yrs then work on your BSN. I wish someone would have told me. As a person who interviews/hires medical assistants, I can tell you that you made the right decision. When I look at medical assistant's resume, I look at what school they attended. I know which schools produce good quality students and which schools dont. I have found that government owned & regulated schools (i.e community colleges, technical colleges etc) are far supeior then these "graduate in 9 months" schools. I offer more money to ma's that went to a community college because I know that the standard of learning is higher and that I am getting a quality medical assistant...so far I have not been wrong. Another plus for you is that since you are taking college level classes of a&p, math etc, you can transfer those clases to the register nurse program if you should desire to do so in the future. Good gosh,are you actually admitting that you look at the school the applicant went to and if it's on that "list" of questionable schools,you will think twice about hiring them? I had that theory and you are saying it's true! PLEASE keep writing about that and getting that message across!!!!!!!! Too many naive students are getting fooled into registering with these schools. They are easy to get into,there is no waiting period. That's a bad sign,everyone! These schools will also hire good looking guys to work in admissions. Another red flag. I could go on and on but just the admitting that HR and office managers WILL look at the school the applicant attended and if they see that it's one of those lousy ones then it will prevent them from hiring could help in causing all those persuing a medical assisting education to do their homework before signing those papers. This cannot be stressed enough. I did the same thing,I could have waited 5 months and gone to a community college on a full grant but no,I wanted to do something NOW so I enrolled in what turned out to be a horrible school cause a class was starting the following month. My sister tried to talk me out of it because of the loan but I was so positive,just like everyone else,that a job would surely come my way since it is supposed to be in such "high demand". And I am not some gullible youngster! I think one of the main lures used in these medical assisting programs is the mammoth lie that it is next to being an LPN,almost to the point of being the same thing. I heard it instantly and bought into it. I thought "Gee,we are actually going to be overtaking LPNs soon?" I had no one to dispute it to me. I admire you 'Rochelle' for coming on here,as an actual working MA,and telling the facts. Most who do are without a job and it's almost looks like a sour grapes thing. I was fed the same bull, MA's will be phasing out LPN's soon, so you'd better act quickly, our classes are filling up fast...on and on. Luckily I came out of the MA program owing only 2300, that is still a small chunk of change for myself. I am trying to talk a neighbor of mine out of going to Everest Institute, she wants to take their medical billing/coding program, she said they told her it was 8000, I called and found out it was 15000. I asked if they were accredited and the woman hesitantly told me yes, I said BUT is the program accredited through the associations that approve such programs? She said our school is accredited, she didn't know, she tried in vain to reel me in, I told her if she was unsure about the deals, then I was really unsure about going to a school like that. I just hope my neighbor listens to reason, she hasn't been in this country long, and she wants the "American Dream". I am very sadden to hear that a few of you were taken advantage like that. The thing about hiring attractive men in admissions for those 9-month programs is OH so true! I was considering Everest's Dental Assisting program, and the "admissions officer" I met with was absolutely gorgeous, heh. I still think it's funny how he waited to tell me that the program is $10,000 until the very end of the meeting, and tried justifing it by saying "We have an x-ray room!". Psht. My Medical Assisting teacher (well, one of them) is strongly suggesting that we get degrees, as well as the diploma, as it would help us get jobs much easier. She's out-right stated that the field is competative, and that we may have to accept lower-paying jobs in the beginning to obtain experience. I appreciated her honesty, and I am feeling much better about going into this field. I wish you guys the best in finding a job (if you haven't, already). Just keep faith. Let me tell you how bad my tech school is...I graduated in 2004 with an A.O.S. in medical assisting. Even after transferring 10 credits into the program from a community college, and receiving grants, I had loans totaling over $8,000.00 which were paid off in 2005. Last month, I requested my transcripts to apply to take the RMA exam. That's when I heard from the school's financial dept. They withheld my transcripts because they said I had an outstanding balance of $103.60 for unpaid tuition. The invoice they sent me showed charges orginating 1 year after I graduated. The financial dept. actually said, "WE're sorry we made the mistake of UNDERCHARGING you for the amount of credits you took, but it's ONLY $103.60 so if you take care of it, we'd be happy to send your transcripts out." I wrote a letter to the president of the school, (private for-profit schools have presidents, not deans) with no resolution except for another call from the financial dept. This school is located in Latham, NY so I filled out a complaint with the NY board of education and got immediate results! Within a week, I received a letter dismissing my charges and my transcripts were then sent to AMT. AMT was very good to send them back to me because I don't intend to go through that again! The name of the school is Mildred Elley Business School. Stay away from this school. You can do it cheaper and better in the Albany area! From where I lived, I didn't have the option of a community college. I went to satelite campus near my home. If your only option is a tech school for MA or a community college for LPN---go for LPN is my advice. I doubt that all your education and the school that you attended will have any impact at all when looking for a job. A MA RMA CMA is a dipolma of just that. To bad I fell I should be able to do and make more money because of my expertise but CMA BMO no matter how much you have behind you and the school. You are treated the same. I have the same and more of the experience and knowledge you have. In Florida they do not care. They will think Oh she will want a decent salary. Or she may make us look stupid. There is always a reason why they can't hire you . So don't get to much education under your belt with a MA license unless you go for a RN job because you will be punished for it. I have been through the private school thing and dropped a few times because it is so expensive, and I think harder! I am enrolling in a community adult school this spring. Evans community adult school in los angeles. They charge no more than $400 for everything included but you have to pay on your own. no financial aid. Does anyone personally know the reputation of Hesser College for the MA program, in New Hampshire? I would be really interested to hear if anyone knows what the recruiters and/or drs. who hire think of the program. Thanks for any info. As someone 5 months into a tech school MA program, I am praying any prospective employer will look at my knowledge base and look beyond my school. There are TONS of losers in my school, but I am not one, and there is the opportunity to learn everything, which I am taking. Any good stories out there?? Have you thought of calling around to offices and asking the ones that do the hiring what THEY think of the school you are wondering about? It would be a good way to find out what you want to know. I have also looked into several schools, and i dont really see the difference. I am comparing Meridian Career Institute to Everest, and the biggest difference is a degree versus a diploma. But if they both lead to the same job with the same pay, shouldn't I go to Meridian Career institute where the time is shorter to earn the diploma? Hi y'all...I am so glad to read this! I am entering school this fall to be an MA and was trying to figure out which route to take. This thread was very helpful! Thanks! I feel so terrible for so many of you! I wanted to point out that when considering a program one should also look into the specific state requirements. My particular state doesn't recognize the certification of MAs. I have been working as a MA, though I never attended a MA program, for a few years now and have learned the importance of knowing what a doctor can ask of me. Some doctors really take advantage of MAs, at least here, because MAs aren't limited by licensure the way nurses are. After feeling uncomfortable by some requests make of me I contacted the State and was advised by all with whom I spoke that an MA can do almost anything as long as the physician signs off on it. What that means is offices are using more MAs because of versitility, and paying them less even though they often are asked to do more work. I'm thankful that I work for a great agency and make good money, because it's putting me through nursing school. It is the strong foundation of my experience as a MA that has led me to decide to continue my education. Regardless of what field one chooses it's important to do your research! I personally think going through the CC is a better route. The classes are better regulated, and all of the time and money put into it results in college credits upon which further education can be built. There are also better scholarship, grant, and aid packages offered. Another thing to look into is the Dept. of Health and the Better Business Bureau to see if the program or any "professional" associated with it has had any complaints. But what it really all comes down to is clinical skills. The doctor doesn't care so much about class work, and will prefer a competent MA who can draw blood over the MA with a 4.0 GPA and limited skills hands down! I am currently attending a very highly respected MA program here (ACCSCT, CAAHEP) in Southeast Michigan. I did a LOT of research before I made the decision to attend this school. Having that said, I do believe it has everything to do with the quality of education you are receiving. I think there is good and bad in everything. I, personally, from experience have seen some not so great things come from the community colleges as well as some of the tech schools. I think it all boils down to the quality of education you are receiving. Do some research. I do not believe that attending a community college necessarily makes you more "educated" than someone who attends a tech school. I believe it all depends on the quality of education that you get it from. I know for a FACT, that MANY doctor offices in my area only hire MA's that graduated from my tech school. This is due largely because they KNOW what to expect from us from our training. They don't have to question if we know "how to this and that". They KNOW ahead of time what we know. They would hire a student straight out of our MA program first before they would hire someone with an associates degree straight out of college. In fact, there are several students in my group who came from local community colleges because they weren't getting the "hands on" training and didn't feel confident in what they were learning out of a book. Some of the BEST medical assistants, have been "C" students and some of the worst medical assistants have been straight "A" students. Of course, this is only based on my experience and opinion. I am sure there will be others who will disagree with me. That is ok though. Just thought I would add my 2 cents. Have you inquired about your credits transferring should you wish to continue your education? Tech school credits do not transfer, unlike 'real' colleges as I like to differentiate. You know you're in a real college when the admissions staff don't hound you to sign up like a used car salesman. Here is my thing. I never really wanted to be a nurse. Im more of a tech girl. I would be good at being an xray tech, phlebotomist ect. w2hen I worked as a vet tech I loved placing IV catheters. I know nurses make alot more money but in Ny as an LPN they were just pill pushers in the long term care facility I worked at, I didnt want that. I did check into all the other schools and none of the colleges offer phlebotomy or medical assisting. I even tried the hospitals and they only offer there classes to people already employed there. so after much research ect I chose this program. Its very rounde3d in all the things I can do and offers more jopb opportunities. YOur questions are valid. There are so many things to consider when choosing to continue your education. The most obvious is cost. From what I've been able to tell the tech school tend to be more expensive than CC programs. CCs participate in federal aid programs but I'm not sure if the tech programs do as well. In addition to experience I have found that the reputation of the facility from which you earned your degree does in fact matter. Another thing considered is what your goals are. I'm very lucky that I recently hired on with a healthcare system that supports and encourage staff who want to continue their education. One of the things they looked at was how well prepared I am to go to the next level. Most CC programs have classes that are prerequisites for a LPN or RN program. If being a MA is the goal then a good tech school should be ok. If you have goals beyond that you will be better prepared if you take your classes through the CC. If you are still reading responses from your post, I wish o comment. I am currently a Medical Assisting Program director at a community college. I work at a very large CC system with over 23 campuses. Prior to moving into the field of medical assisting education, I worked for over 20 years as a CMA. I truly enjoyed the medical assisting profession and would not trade my experiences for anything. At the time there was not any college that offered medical assisting programs where transfer credit was available. Not true today. Typically a CC is regionally accredited so that transfer of credit is very beneficial as well as lower tuition. As mentioned in a previous post, it really does depend on the reputation of the school. I would encourage you to research the school, financial aid as well as looking at future career goals. Many of our graduates do return for nursing programs so that they can work in hospitals. Medical assisting is ambulatory care and the training is focused in those areas. Not inpatient or patient assessment. I am also in southeast Michigan. Which school did you pick to go to and why? In my opinion, community colleges. I have a back up degree with my Medical Assistant diploma to show that I am a degreed health care professional. Please tell me that you found a job. I wonder the same thing, because I go to Crockett Career and Technical Center. Is there a chance I might get a job or be a voulnteer? I believe when it comes down to credentials, they're both the same. I think where this differentiate is the amount the school is costing. In my personal experience I went to local community colleges and had the worse experience. The guidance counselor wasn't even able to give me information on the program as a MA. She never told me her name and so forth. After being fed up with this, I decided to attend a private college to earn my degree as a MA. Yes, it's costing me more in the long run but, I'm also well informed on options, financing, career choices and even have a lifetime job placement. That being said I really like the choice I made in attending this college. Now, for the second part about employers. Before, I started the healthcare path, I worked as operations manager for a major cellular company. One of my job functions was hiring candidates. I have to admit that one of the things employers DO look at is where the educational background stands. If an employer went off experience rather than where you received your credentials there would be no need for schooling. Everyone could just get a job based on experience and not a degree. Some employers are different though. You have to factor in that these are humans just like you and I and that they may be looking for something specific. Maybe they don't care where you went to school, but want your personality to shine. When faced with human resource managers who knows the reason why they choose certain people and not others. It could be even skin color (I hope not the case), but they don't have to tell you the truth. They can make a bogus lie and say something that won't get them fired or jeopardize the company. The true reason lies within their brain of thoughts. So, when searching for a job, give it your best. Give personality, stamina, determination. Don't worry about where you went to school. Worry about what's facing you to get the new job and what you have to do to get it. Here's a hint on a successful interview also. Always check the background of the company and/or employer. They love it when you have knowledge about their company. When they started, how they started, people that are of importance in the company, etc. Employers find this info intriguing and love to bring people on that do research and know of them. Not only that they feel as though you'll be very informative to their patients as well. Good Luck! My name is Mimi, I live in Atlanta, GA . I have so many years experience of working in the medical field as a pharmacy Tech, Med. records Tech, Abstractor. I could not find a job after I got laid off from the Grady's hospital, so I decide to go back to school. I want to enroll in MA's program but I am so undecided which school should I attend? I visited the schools and talked the admissions of the MedTech in Tucker, GA, Iverson business school or Laurus Technical institute in Decatur, GA. They all accepted me. the question I am asking is : have anyone ever heard any good or bad side of 3 above schools ? I talked to the students, they said they do like the schools and the instructors are great. I hope that someone else here know about those schools. Thank you very much for your inputs, it would make a great impact on my health care profession!